It was with some guilt and embarrassment that I had, at the last minute, to pull out from exhibiting at the Basingstoke and North Hants MRS exhibition last March due to illness. I am now pleased to advise confirmation of Fisherton Sarum attending next years show on 8th /9th March 2014 instead. I am very much looking forward to making amends with attendance at their show next year, Basingstoke is of course on the same ex LSWR / Southern South West mainline as Salisbury. 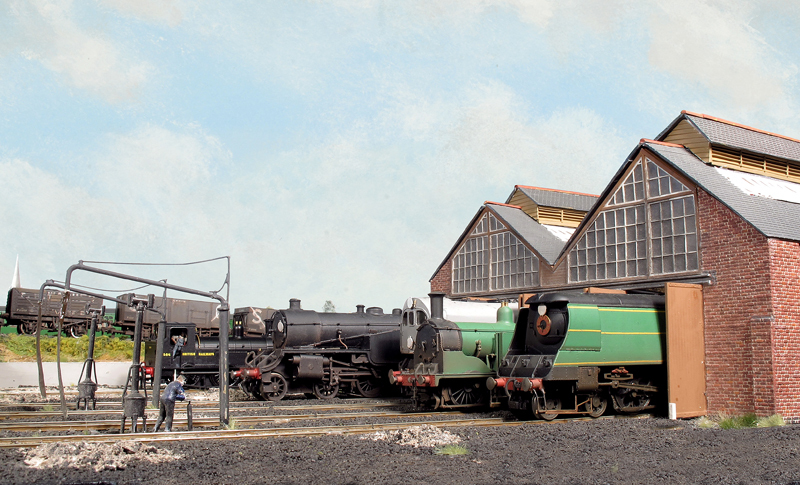 The Steam shed at Basingstoke was also of the same turn of the century LSWR design style as Salisbury along with Eastleigh and Plymouth Friary. Therefore Fisherton Sarum should feel quite at home at this show and my exhibition diary page on here has also been updated to reflect this addition to the list of shows that Fisherton Sarum will be attending.